Coaching basketball isn’t an easy task, and sometimes planning practices can be overwhelming. 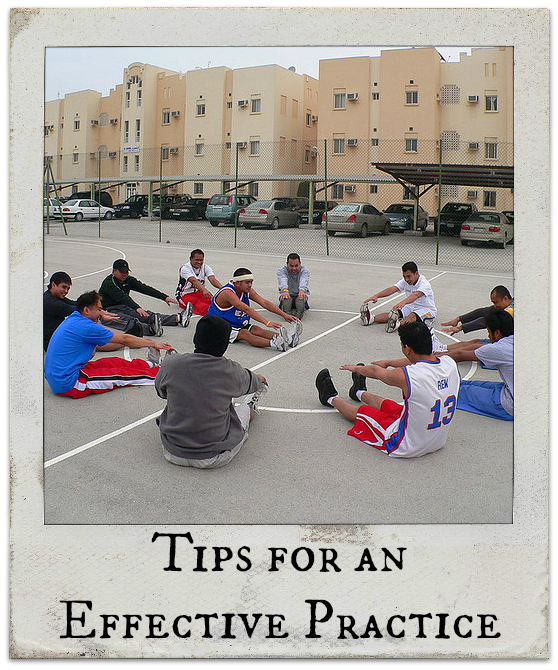 Following are some more tips regarding approaching practices (if you missed the first part, check it out here). Include special situations regularly at practice. I was at a Duke University practice in 1991, the first championship that Duke one, and with a couple of minutes left in the first practice of the season, Mike Krzyzewski put two minutes up on the clock, he put a score, and he made the players play two minutes of special situation. The day before and day after a game, shorten their practice. If your team has a bad day and you come to practice the next day, don’t punish them. Teach that day. They didn’t intentionally go out to play poorly. And if it’s the day before a game, concentrate on getting your things done, but don’t leave their legs on the practice floor the day before an important game. Begin and end your practice with meaning. You want to make sure that the practice starts on a positive note. And get them all together at the end of practice. Spend about 30 seconds talking to them about what the next day is going to be, and end it on that. The players are responsible for the mood every day at practice. They’re also responsible for correcting mistakes. Coaches are responsible for putting them in a situation where it’s a learning atmosphere, but they are responsible for the energy, their level of enthusiasm. You really need to hold your oldest players responsible for that. When you correct a mistake at practice and bring it up in front of the group, it shouldn’t occur a couple of minutes later because it was only supposed to apply to one player. Mistakes are supposed to be things that the entire group is going to correct. Have a 30-second meeting right after stretching and then get your practice started. In the first 15 minutes of practice, mention the first names of all the players on the team. 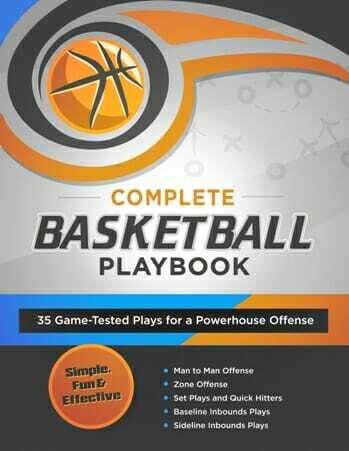 As a head coach, I want to mention the name of every kid in the first 15 or 20 minutes of practice. I want to get each kid mentioned. “Way to run,” “Way to get up,” “Nice strong lay-up.” Say something positive so as the practice goes on and you become more demanding, there’s a little balance in your relationship. Change the practice partners. If you’ve got people matched up in the drills by position, I don’t want them to continue to be the same partners all year. Sometimes they don’t push each other as much as they should, so rotate a little bit. Keep stats on drills at practice. We want numbers for the shooting drills that the kids are shooting for every day, whether they’re the numbers that we’ve gotten from the drill, we’ve gotten it from a coach, that number or the best number we ourselves have attained. Something the kids are looking to shoot for. Once or twice a practice I’ll go to a spot on the floor, close my eyes, and just stand there and listen to practice. I’ll just concentrate on the voices of my players and the sound of their sneakers on the floor. You can find out a lot about your team by just going to a spot in the gym and closing your eyes. And you’ll find that there isn’t enough communication and you don’t hear that cutting, the sharp moving, because they’re probably not generating enough energy. So the kids will see me do that and they’ll know that it’s a situation where I’m listening to the way practice is going. 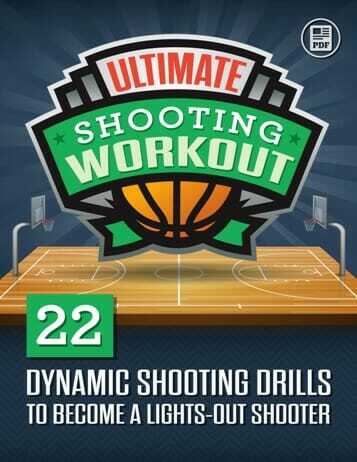 Use a variety of skill drills and make sure that you always tell the kids where you’ve gotten that drill from. There’s nothing better than a kid knowing that coach is out on a regular basis working on finding good drills to use at practice. It gives the kids a feeling that they have an edge over somebody else by having these things at their disposal. Do your conditioning with basketball. The only time we run at practice, for the sake of running, is when someone has done something in school. The group is punished. If someone comes late to practice and they haven’t called us, the group runs while that young man will stand on the sideline. And he’ll suffer later as the players question why he wasn’t responsible enough to call. Utilize the assistants at practice every day. Help bring them along. Make them ambitious. Let them know that they’re going to have a chance to be head coaches someday. Utilize all of the space you have in your gym. If you have six baskets, break your practice down so you use your outside four baskets in practice, you use all six for shooting and skill drills, and you get into a situation where you can utilize all the space. Are any of the tips above ones you haven’t heard before? 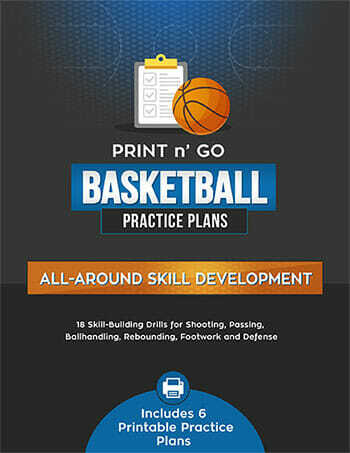 What would you add to our list of tips when it comes to coaching basketball and practice plans, if you could?